We make award winning, world class whiskey right here in Bend, Oregon. 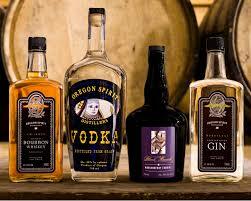 We also make other fine spirits. 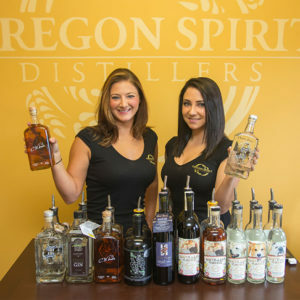 Oregon Spirit Distillers was founded on a dream to do what we love resulting in an end product that shows the integrity and playfulness of our work. We sought to create spirits that bring an experience to the consumer, which we can be proud of and excited to share with them. From the beginning we wanted our spirits to participate in the cocktail and we think that they do that well. Wanting to involve the consumer we sought after those who had an interest in spirits and asked for their help to develop our products. We have found that working with others who are excited about this industry as much as we are was extremely helpful and rewarding to us. 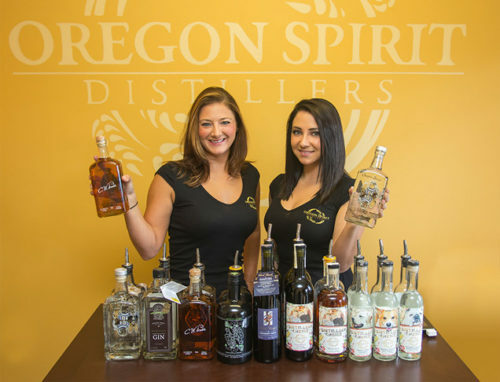 We hoped to develop a sense of community at Oregon Spirit that would reach out and include those wishing to be (what we affectionately refer to as) Spirit Geeks!